Item Features: The car's original cigarette lighter socket can be split into 2 sockets by this one-to-two cigarette lighter. Max 80W power output, it can supply power for 2 devices at the same time such as GPS, DVR, car vacuum cleaner and other car electric appliances. Supports intelligent fast charging, DUAL USB produce Max 5V/3.1A output current. Independent ON/OFF switches control the two cigarette lighters separately. Make your vehicle safer with it and you can leave everything plugged in and just press a button when getting in or out of the car. LCD display to show the real-time car battery voltage, and it will also show the output voltage and output current when using USB charging.. LED indicator and flashlight ---never get caught off-guard, press the power button and see how much battery is left inside instantly; Long press the button to open flashlight when in dark. 1 x Micro USB cable. Dangling transmitter enhances reduction degree basic sound pickup effect that creates more authentic voice. Standby current: 40mA. 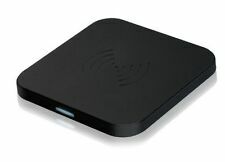 With A2DP function, stream music from Bluetooth device to car's FM stereo system. Ultra-Compact Twin Port In Car Charging Adapter. USB Port 1: 1. USB Port 2: 1. Colour: Black. LED Colour: Blue. Top Quality, CE Approved. TomTom GO TomTom GO 300 TomTom GO 500 TomTom GO 520 TomTom GO 530 TomTom GO 550. TomTom GO 550 LIVE TomTom GO 630 TomTom GO 700 TomTom GO 710 TomTom GO 720 TomTom GO 730. 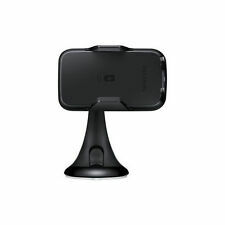 TomTom GO 750 TomTom GO 920 TomTom GO 930 TomTom GO 940 LIVE TomTom GO 950 TomTom GO 950 LIVE. Cigarette Lighter Wiring kit for cigarette lighters to install in any 12V-24V motorbike, Boat, Riding mower, tractor or car. Indicator: Blue LED. Interface: 2. Can be installed vertically, horizontally or underneath the dash, or any flat surface. Original Huawei Super Fast Charger UK Adapter 5A SuperCharge for P10 Mate 9 NEW! Keeping your phone full of juice is no problem if you follow a few simple steps. You'll never miss an important call or photo opportunity again. Mobile phone chargers always seem to be out of sight just when you need them. Make sure you can top up your battery wherever you are with this selection. There are lots of ways to make sure your phone always stays fully charged, and these three kinds of chargers will help keep you on full power. When you're looking for mobile phone and PDA chargers and docks, it's first important to ensure you get the right make for your phone. Apple chargers are only suitable for Apple phones and other chargers may only be suitable for individual makes such as Samsung or HTC. There are many options available when selecting how you want to charge your phone and this will often depend on how much you use your phone in a day. 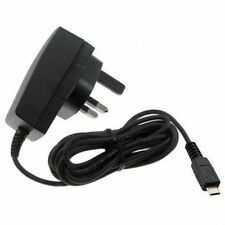 Most mobile phone and PDA chargers come with a USB port to connect to your phone, with a charger which is then plugged into a wall socket. This is a very common way to charge a phone, as it means it can be plugged in and left to charge anywhere in the house. 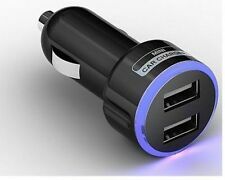 In car chargers are designed to easily and safely charge your phone or PDA in your car. They usually connect to the cigarette lighter and can be plugged in if your phone charge is getting low or if you're away from home or on a long journey. The other option is a battery power pack. These are suitable for those who rely on their phone and use it a lot during the course of the day, but may not have access to a wall socket. These packs are originally charged up via a wall socket. When your phone is running low they are connected directly to the phone to charge it up. Power packs are usually small enough to carry in your pocket. Mobile phone docks are freestanding chargers which allow your phone to charge while sitting in the dock. 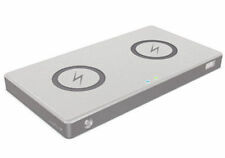 The dock is then connected to a wall socket or they can be plugged into a laptop or PC via a USB ports. As the charging port on each phone is in a different place, it is very important to get the right dock for your phone. 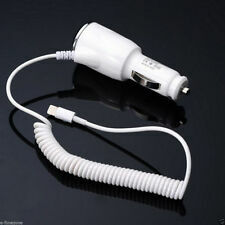 Juice Type C Detachable Wall Charger 1m.